There has been phishing on campus and it isn’t in the lakes. 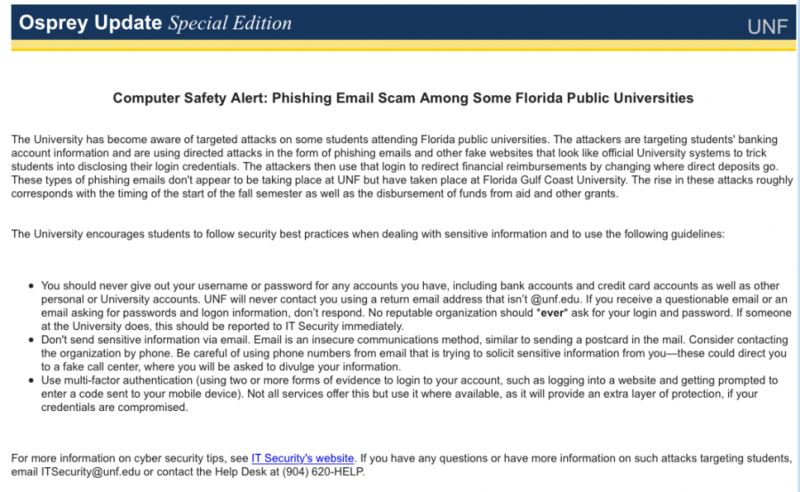 According to an Osprey Update for faculty and staff, university employees have become targets to a phishing scam. The scam seems to have come from the Student Wellness Complex. The phishing email reportedly contained a link that an employee clicked on. 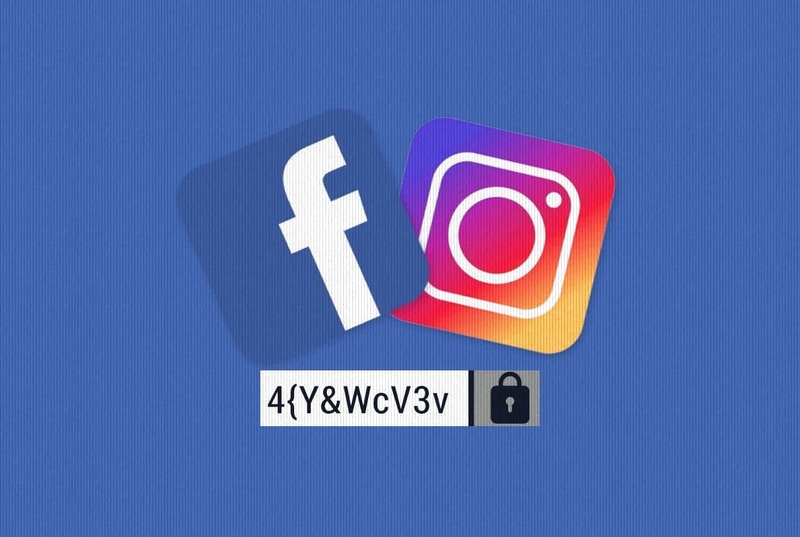 After typing in their UNF ID and password, the software allowed the attacker to use this information to hack their UNF account. The attacker changed the employee’s direct deposit banking and routing information, but the changes were noticed and reversed. IT Security suggests on their website to never reply to an email with personal or financial information. It is also advised not to trust any links contained in such emails and to use antivirus and antispyware software and keep it updated. If you believe you are a victim of phishing, contact IT security.